Hiro (Kyoto, Japan) on 25 September 2011 in Lifestyle & Culture and Portfolio. @J.R.: I saw them here in Kyoto. And believe it or not, he is not Okinawan. I heard he had learned Eisa in Mainland. 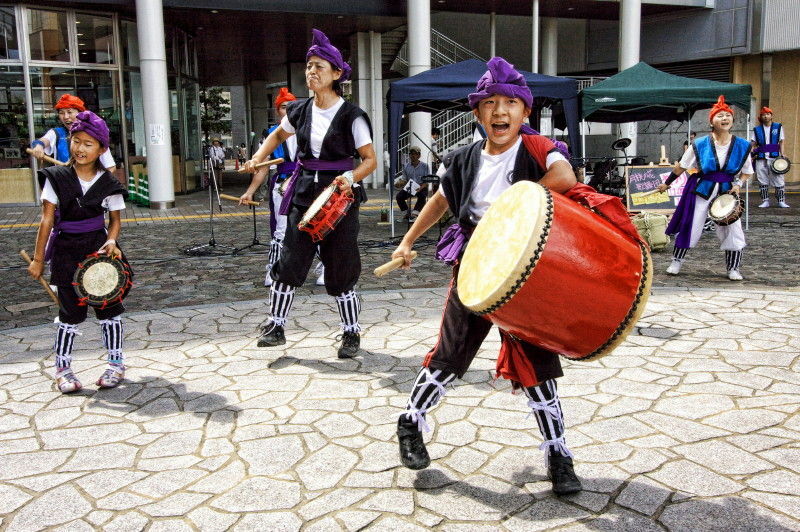 Wow, traditional Okinawan fashion does look different from Japan's mainland; nice action shot! Great shot Hiro, glad to see that you got in as close as possible for maximum impact. Wonderful : we can feel their enthusiasm ! You captured their spirit of fun very well. Nice shot colorful and full of rythm. Fun action capture Hiro. Love those faces all so joyful, and even the adult is just putting an adult look over a smile. Great capture of these street performers, colorful too!